Today I'm hosting "In Other Words Tuesday" so I got to choose our quote for this week. I recently read a book by Cherie Hill called "Be Still: Let Jesus Calm Your Storms ". It was such a timely read for me as I've been going through a very challenging season. As I speak with friends and read many blogs, I find that I'm not alone. "When we align our thinking with God's, we're given a glimpse of what it's like to see through His eyes. When we're able to view our storm from His perspective ...it changes everything." So, how do I align my thinking with God's? God has not left me alone to figure things out according to human wisdom. The Bible is the inspired Word of God. It is just as relevant today as when it was written. When I am afraid, I replace that fear with ...the Truth. 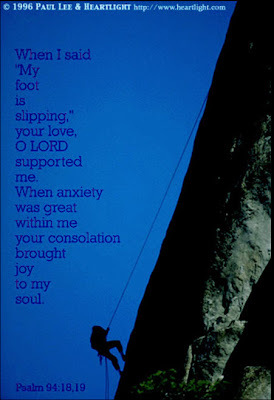 When I become anxious, I remember that He has promised to never leave me nor forsake me. I apply the Word of God to the storms in my life and ...I am calmed. My human emotions can easily take over. But when I remember who I belong to, I learn to depend more fully on the Lord. After all, He is in control of all things. Nothing is impossible for Him. As I learn to lean on Him and trust Him, He shows me that He is faithful and has my best interests at heart. In the midst of the storm, my perspective begins to change. So, how about you? Have you aligned your thinking with God's in the midst of your storms? I encourage you to link your blog post below or simply leave your comments. I look forward to reading them. can trust the Lord to protect us." amen. Amen. What lovely words you shared. Thank you so much. Oh, I love that, "aligning our thinking with God's." It sounds so easy and it should be, but it's a real struggle at times. Thanks for the wonderful inspiration this Monday! Blessings! 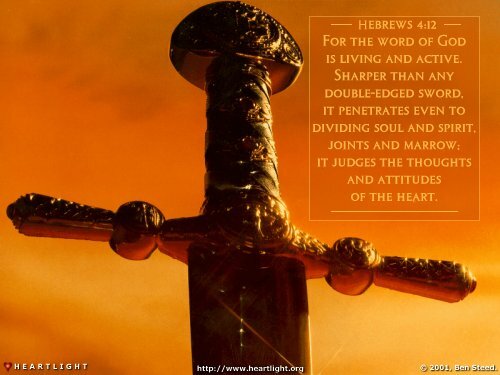 I think that is part of our spiritual warfare, stopping every vain speculation and aligning with the word of God, then making our emotions line up with what we know is truth. It sounds so text book and yet if it were easy it wouldn't be faith..which is the evidence of things not seen. Blessings...and I hope you are having a great spring! Teaching it, aligning our lives with the Word, all this week. Taking it further, who are we? What does God say about us? Choosing to stand amidst the storms and no longer listen to the waves. Walk on them to my Jesus. amen! amen! amen! love it debbie! Thank-you, Debbie, for sharing this quote. You are right. We can trust God in all circumstances. This takes a lot of practice. Lucky (?) for me God gives me plenty. Thanks for hosting this week. I need this reminder continually. Finally my alignment is right. I was leaving comments where I didn't want to. Ha Ha. They were good. Now that I'm here I want to say thanks for today's quote. 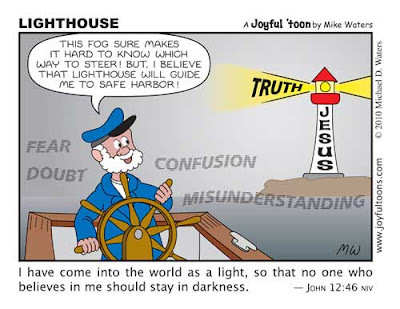 The Bible is definitely the compass we need to keep us aligned with God in order to endure life's storm as we should. The verse from Psalms in the mountain climber picture is one of my favorites. I'm fearful by nature but through faith (and often an act of my will to act on my faith!) I choose to not let fear overcome me. Seems like you are a beacon in the storm sister . . . . as I've learned time and time again, storms will come . . . we are assured of that. But, we trust in the One who controls and calms them. I constantly need to be reminded to get to the back of the boat with Jesus . . . at rest, trusting in God at all times. I was thrilled to read the comment by Cherie Hill. She is the author of the book "Be Still". The quote I chose for this week is from her book! You are so right, Debbie! When we remember His promises and the Truth of His Word, He calms our troubled spirits. Sometimes I can "forget" that for a bit...but then, when I open His Word, I am clearly reminded. Then, when I obey...I am at peace. This is so good Debbie and such a timely reminder! I am thinking of what Jesus said when he was tempted, even Jesus.. He said 'it is written'... that comes to me so many times and I quote it knowing that He has my life under His control. Taking time to actively listen to God after I have mediatated on His Word is what helps me alien myself to Him. Sadly that part of my quiet time is what often is the first to go when time is short. As Brother Lawrence would say, "Practicing the Presence of God." Wow, why is it so hard for us to STOP and redirect our thoughts toward home? I'm as guilty as the next person. Even as the Israelites needed constant reminders to "remember", so it goes with me. So true, Debbie. Many times I let my situation rule my emotions. Great post! I needed to read this!